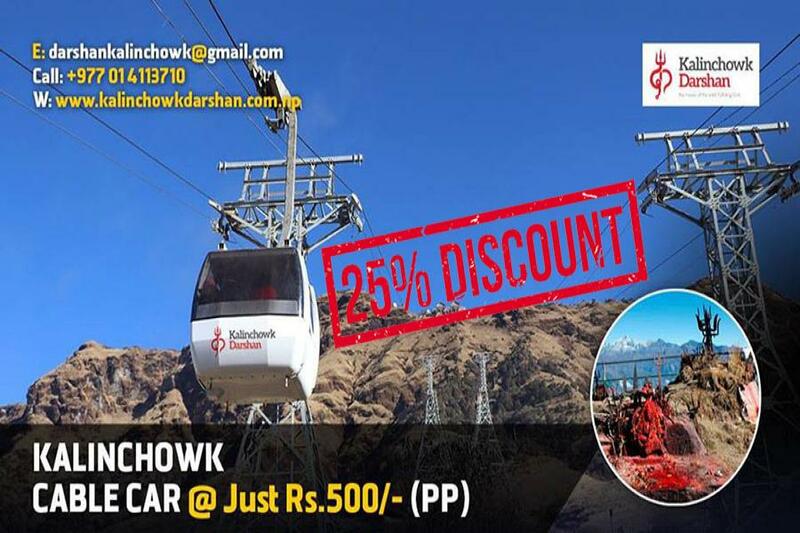 DOLKHA : 25% discount will be provided to the senior citizens, students, physically unable and locals while travelling in Kalinchowk Cable Car. According to CEO of Kalinchowk Darshan Limited, Ashok Siwakoti, After considering the number of tourist arrival and the problem faced by the people while travelling in Kalinchowk Village Municipality of Dolakha they have decided to provide discount up to 25%. Currently, the travelers have to pay 500 rupees while travelling. Due to the problem raised while travelling in such hilly area in this extremely cold weather , the company has targeted to make the travelling of senior citizens, students, physically unable people more easier by providing discount. CEO Siwakoti said, " After this scheme many senior citizens will get chance to worship Kalinchowk god now." The cable car service of Kalichowk Darshan Limited has been constructed with the advanced Swiss technology.